Thank you, dear! We finally got some rain yesterday! Much love to you too, Yamyah! I hope you’re doing well! Is this and the previous picture from your garden, Leslee? That sounds like a great name! Take it away! About the garden… I wish!!! 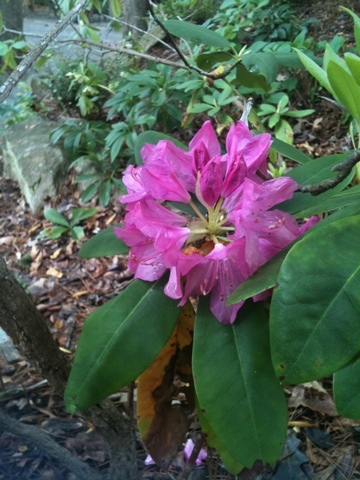 However, the azalea and clematis are just a few doors down, and the rhododendron is in a garden where I’m taking some classes these days… Maybe tomorrow I can manage a pic of the wonderful orange azalea in the back yard… It’s so exotic-looking, and is about the only kind that indigenous here!